What began as a local photo business back in 1990 grew into an international photo digitization solution to preserve millions of photo memories worldwide. Over time, ScanMyPhotos.com garnered reviews from the leading tech reporters, but it shifted away from local customers for online ecommerce ordering. Today, the company is launching an identical service emphasizing quick and affordable scanning of photos, slides and negatives for walk-in customers throughout Southern California. This is launched just in time for those dreaded Southern California wildfires, mudslides and other natural disasters that can destroy your precious photo memories forever. In the aftermath of a disaster, your insurance usually covers the replacement of possessions that have a monetary value but items with emotional value can never be replaced. Those shoeboxes and albums of family photos tucked away in your closet or attic are often overlooked until it is too late. Family photos can also be lost due to neglectful storage, sun exposure, water damage and deterioration over time. Preserve your photo memories today and enjoy them for generations to come by having them professionally scanned and digitized by ScanMyPhotos.com. How do you drop-off your photos, slides, negatives and videos? Reserve a time to walk-in your order by submitting a simple appointment request. ScanMyPhotos.com requests at least one full business day’s notice between your online submission and requested appointment time. After you’ve scheduled your appointment, prepare your photos, negatives, slides and videos prior to your reservation. 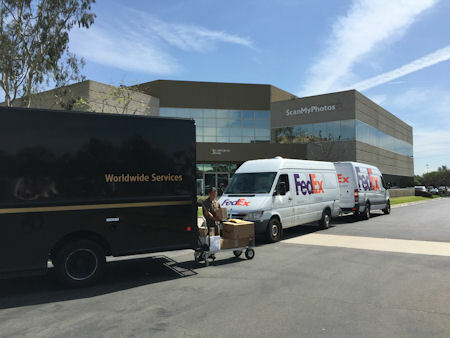 Conveniently drop-off your order at the ScanMyPhotos.com Irvine corporate headquarters, located at 3 Corporate Park, Suite 160, Irvine 92606 with ample free parking. A personalized photo scanning concierge will greet you and process your order, assisting you with any questions. With no lines, you’ll zip in and out so you can move on with the rest of your busy day. It’s as simple as that. ScanMyPhotos.com offers affordable, competitive pricing for all your scanning needs. Photo Scanning: Scan as many or as few photos for just 12 cents/photo at 300 DPI. If you think you’ll want to enlarge your scanned images, upgrade your order to 600 DPI for just another 7 cents/scan. There are lots of options for you to choose from, each offering something special for your photo images. Be sure to read over each additional service and choose which ones you want. The concierge can help you decide during your reservation if you have any questions. Slide Scanning: Delicate hand scanning of slides includes color and density correction for an optimal scan. Digital ICE technology removes dust, dirt and scratches so your images look crisp and clear. 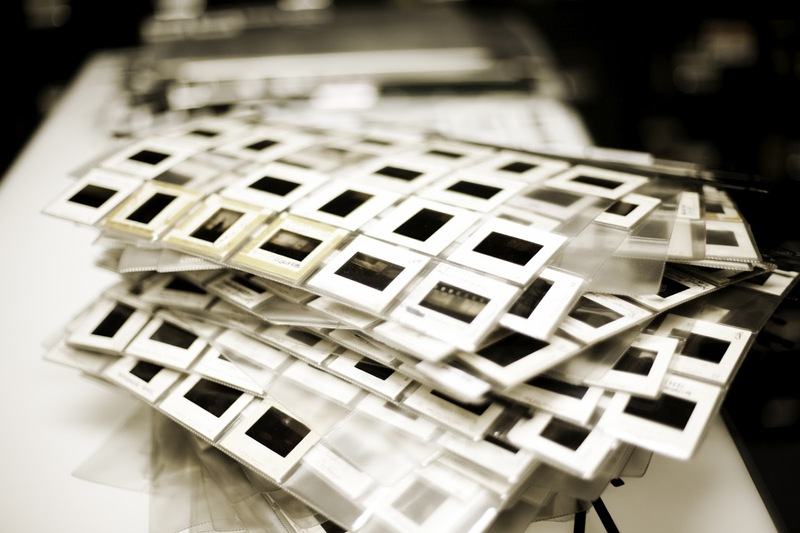 Slide scanning is priced based on the quantity of slides you need scanned and is as low as 27 cents/slide. Select from 2,000 or 4,000 DPI scanning. Negative Scanning: ScanMyPhotos.com delicately hand scans 35mm, 120mm and APS film, correcting each image for color and density using Digital ICE technology to remove dust, dirt and scratches. Scan APS rolls starting at just $5/roll and 35mm negative scanning starts at 39 cents/frame – choose from 2,000 or 4,000 DPI scans. 120mm negative scanning is as low as $1.89/frame and you can select either 1,000 or 2,000 DPI scanning. 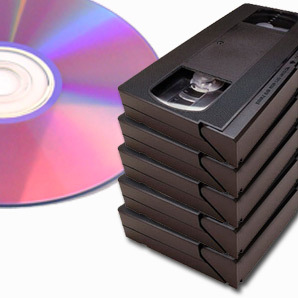 Video Transfer: For just $19.95 per tape transferred to DVD, you can have all your VHS, VHS-C and Hi8 tapes professionally digitized so you can once again enjoy them with friends and family. Do you have 8mm and Super8 reels? For just 19 cents/foot, all those precious moments captured on video can be expertly digitized including scene-by-scene density adjustment and manual retiming with the full frame captured onto DVD. Your DVD includes full menus and chapter selections so you can watch either all of your movies or select just the reels you want to watch. ‘like’ ScanMyPhotos.com on Facebook, print and bring the limited-time coupon to your appointment. ScanMyPhotos.com was founded in 1990 and has professionally scanned tens of millions of photos, negatives, slides and videos. The company offers worldwide service and is well-known internationally as leaders in the photo imaging industry. Photos are everything… ScanMyPhotos.com makes yours last a lifetime and more.